“Girl from the North Country” (occasionally known as “Girl of the North Country” or “North Country Girl)) is a song written by Bob Dylan. It was recorded at Columbia Recording Studios in New York City in April 1963, and released the following month as the second track on Dylan’s second studio album, The Freewheelin’ Bob Dylan. Dylan re-recorded the song as a duet with Johnny Cash in February 1969. 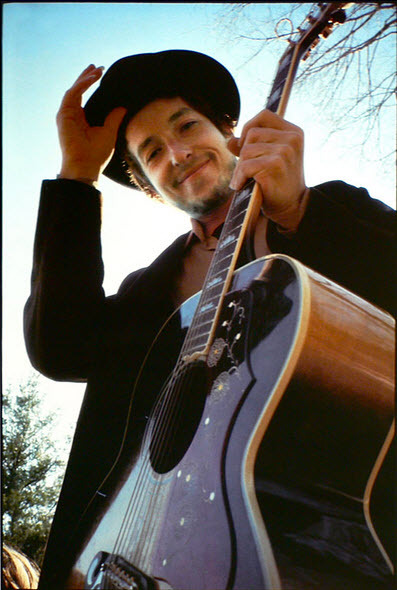 That recording became the first track on Nashville Skyline, Dylan’s ninth studio album. The song was written following his first trip to England in December, 1962, upon what he thought to be the completion of his second album. It is debated as to whom this song is a tribute; some claim former girlfriend, Echo Helstrom, and some Bonnie Beecher, both of whom Dylan knew before leaving for New York. However, it is suspected that this song could have been inspired by his then girlfriend, Suze Rotolo. Dylan left England for Italy to search for Suze, whose continuation of studies there had caused a serious rift in their relationship. Unbeknownst to Dylan, Rotolo had already returned to the United States, leaving about the same time that Dylan arrived in Italy. It was here that he finished the song, ostensibly inspired by the apparent end of his relationship with Rotolo. Upon his return to New York in mid-January, he convinced Rotolo to get back together, and to move back into his apartment on 4th Street. Suze Rotolo is the woman featured on the album cover, walking arm in arm with Dylan down Jones Street, not far from their apartment. While in London, Dylan met several figures in the local folk scene, including English folksinger Martin Carthy. “I ran into some people in England who really knew those [traditional English] songs,” Dylan recalled in 1984. “Martin Carthy, another guy named [Bob] Davenport. Martin Carthy’s incredible. I learned a lot of stuff from Martin.” Carthy exposed Dylan to a repertoire of traditional English ballads, including Carthy’s own arrangement of “Scarborough Fair,” which Dylan drew upon for aspects of the melody and lyrics of “Girl from the North Country,” including the line from the refrain “Remember me to one who lives there, she once was a true love of mine”. Musically, this song is nearly identical to his composition “Boots of Spanish Leather”, composed and recorded one year later for the album The Times They Are a-Changin’. I thought it would be interesting to see how the song has changed over the years. I believe I have found 7 fantastic versions, and my favourites are the one from 1969 with Johnny Cash and the one from 2007 in Sweden.